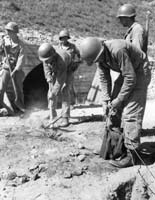 American troops planting demolition charge to destroy a small bridge somewhere in Korea. 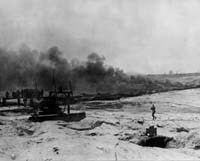 25 Jul 1950. 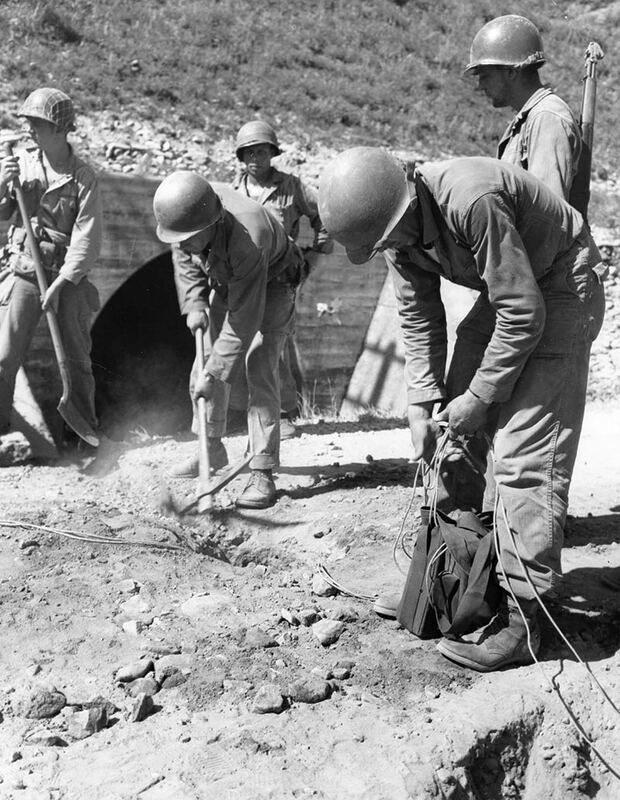 Army Engineers place satchel charges and promer cord, preparatory to blowing up a railway bridge somewhere in Korea. 30 Jul 1950. 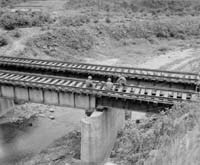 In order to destroy a railroad bridge across the Songchon River at Hamhung, Korea and delay the advancing Communist Army, a section of the bridge was blown out and a locomotive pushed over the edge of the gap. 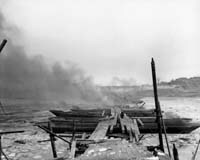 The crisscrossed wooden ties supporting much of the track burns after it was set afire. 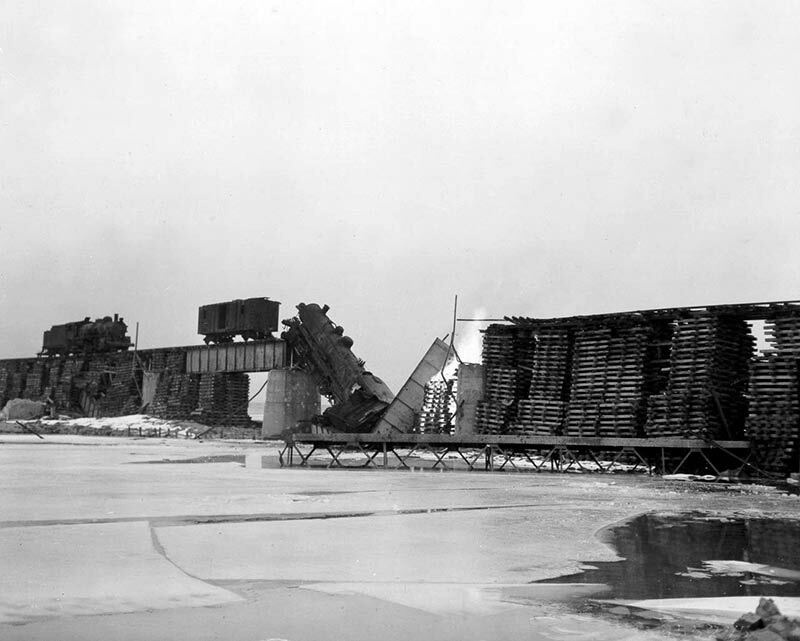 Later the other locomotive and freight car remaining on the bridge was dynamited. 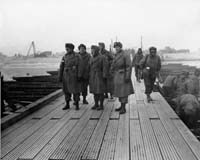 15 Dec 1950. 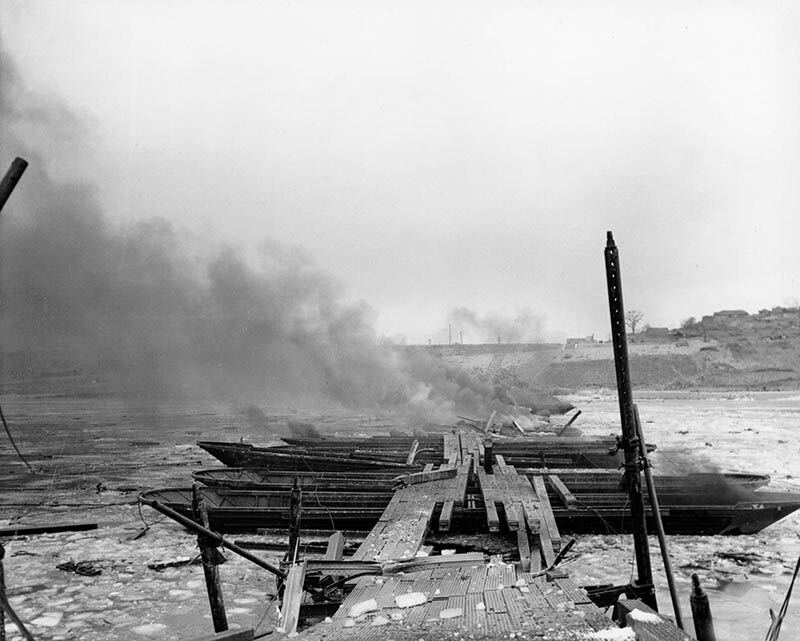 A Han River pontoon bridge out of Seoul, Korea, slowly burns and sinks after the first charge of TNT has been set off by members of the 8th Engineer Battalion, 1st Cavalry Division. 4 Jan 1951. 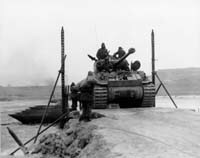 The last of the UN Forces having withdrawn across the Han River, U.S. 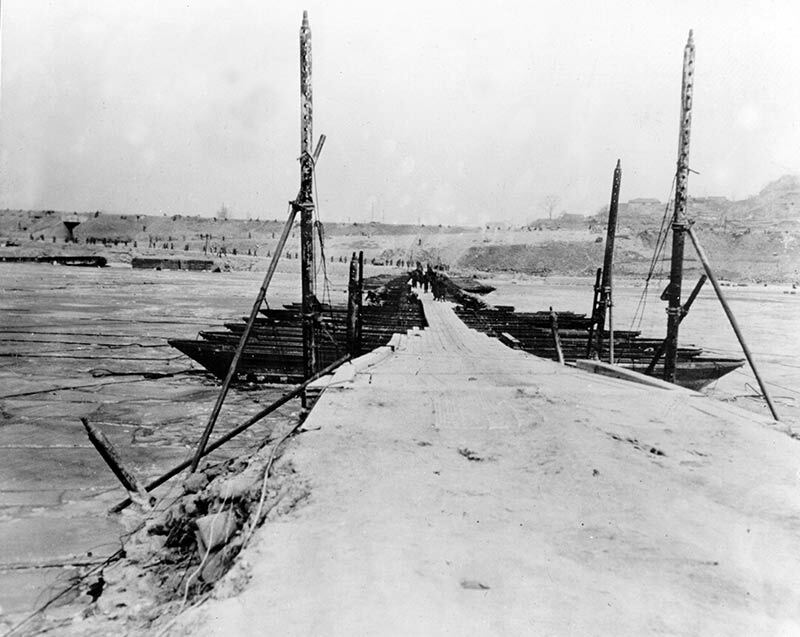 Engineer units dismantle and destroy the remaining pontoon bridges. 4 Jan 1951. 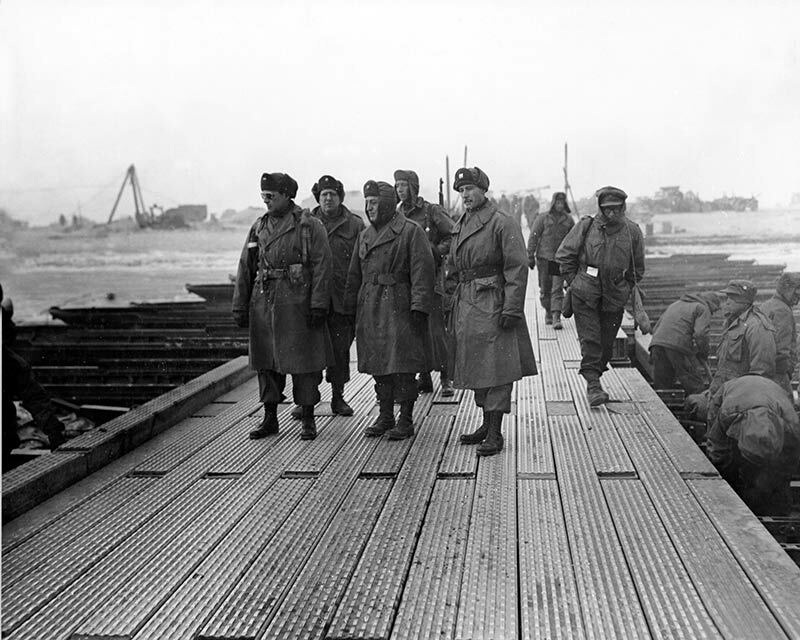 Evacuation of Seoul: After the last of the UN forces units have crossed the south bank, men of US Eng. 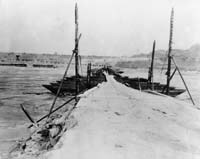 units got to work, first dismantling this pontoon bridge across the Han River, then demolishing the remainder of it. 4 Jan 1951. 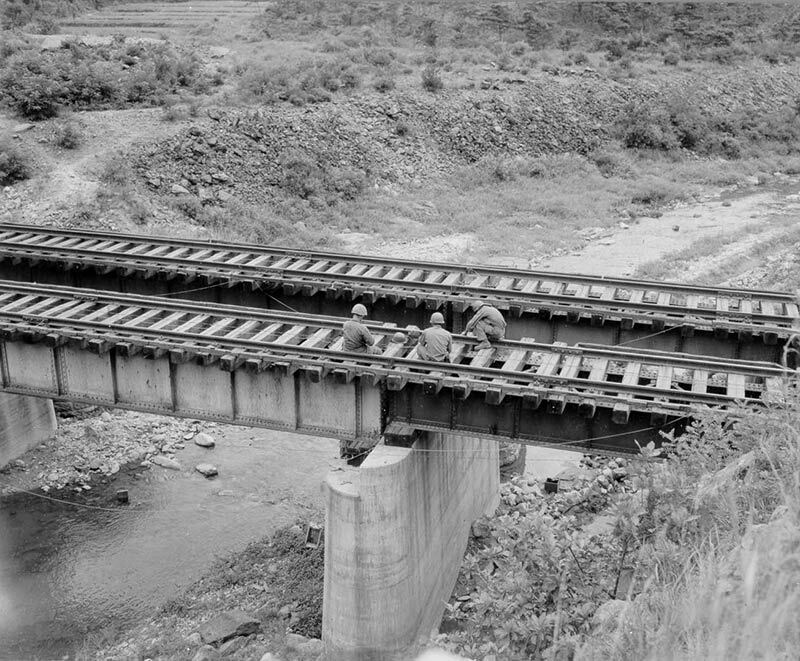 LT General Matthew B. Ridgway, CG, U.S. 8th Army (front row, left), and Co. Itschner, Engineer, I Corps (front row, center), give the order to begin dismantling pontoon bridge after the last of the UN Forces evacuated Seoul. 4 Jan 1951. 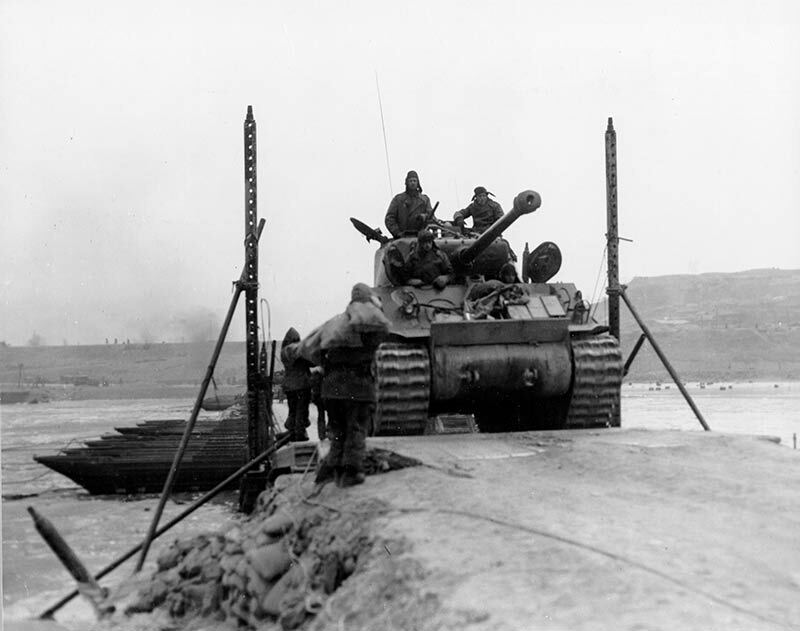 A tank of the last UN Forces units in Seoul evacuated the city, withdrawing across the Han River on the remaining pontoon bridge which will be demolished as soon as they have passed. 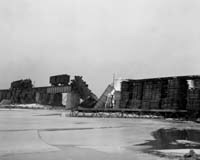 4 Jan 1951.